Don’t get too close to an active bee hive. I went there again today to see if I could get a better shot of them coming in to land. I tried different settings on the camera and got a few reasonably good ones. But. 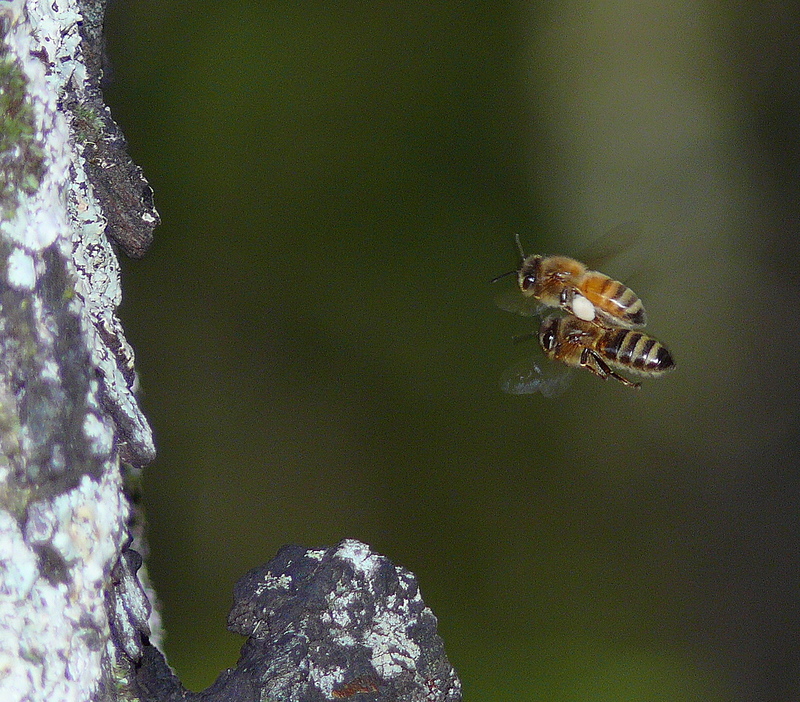 I was close to the ground and out of the flight path but one bee took exception to my presence. Maybe it was the flash that disturbed or attracted it but it came at me with a will. A will to see me off. Which it did. I waved it away with my hand and then my hat and thought it had given up when I was ten metres away from the hive but it came at me again, and again. The third time it landed on my arm and tried to sting me. It did but I got to the stinger in time to pull it out before too much toxin was injected. I remember seeing somewhere the stinger continues to pump toxin after it has been ripped from the bee and my body’s reaction was instant. A little information from a long time ago helped a lot when it was needed, amazing body – brain. Survival instinct utilising information from ages ago in an instant to mitigate a dangerous situation. Wasn’t I lucky, and quick. 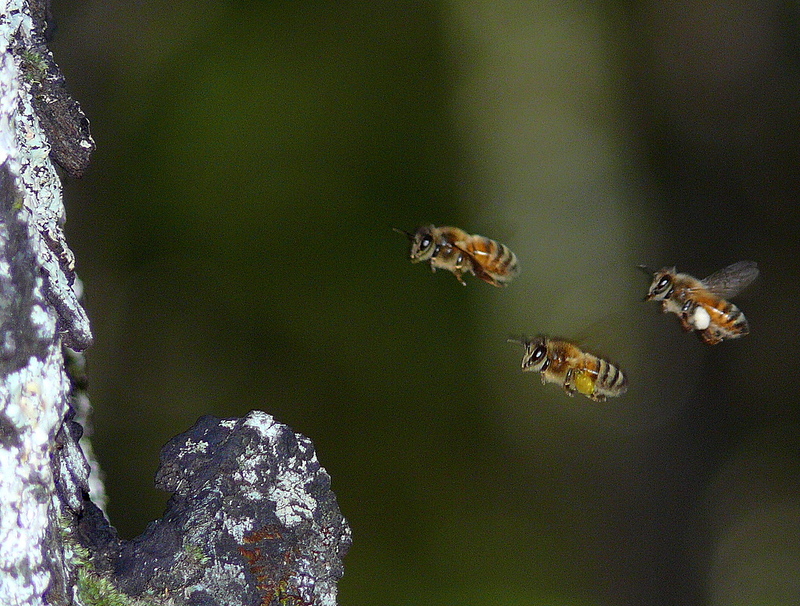 Lucky it was only the one bee. And the natural intelligence of the body – brain was the quick, sense – ibly so.